B&C Management – New Hampshire, Inc.
Nashua, New Hampshire – Lafayette Hotels of Bangor, Maine has signed a management contract with the Granite Inn in Nashua, New Hampshire. The property will become the seventh Fireside Inn & Suites – the third Fireside in New Hampshire. The Fireside Inn & Suites of Nashua is located off of US-3 on the outskirts of downtown Nashua and a 45-minute drive to Boston. The hotel is surrounded by some of the most beautiful scenic landscape and foliage that New England has to offer. The Inn features 100 well-appointed and newly renovated guest rooms and suites. A 99 Restaurant and cocktail lounge are on-site, as well as a complimentary continental breakfast for guests. “We are excited…we feel that this decision by the company will help to better serve and provide a better experience for our guests,” said Maranda Twombley, Assistant Manager of the Fireside Inn & Suites – Granite Inn. 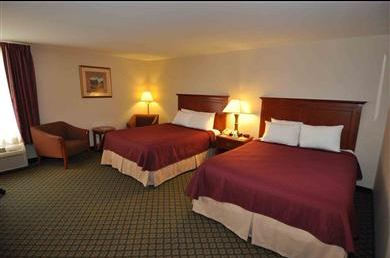 The Fireside Inn & Suites of Nashua is owned by B&C Management – New Hampshire, Inc., a New Hampshire based company. The Fireside Inn & Suites located in Nashua is one of the company’s locations, along with Maine and Vermont. Other Fireside locations in New Hampshire include: Lake Winnipesaukee/Gilford and West Lebanon. The four Maine properties include: Auburn, Bangor, Portland and Waterville. 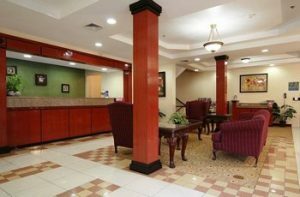 For more information on the Fireside Inn & Suites brand, please visit: www.firesideinns.com. Lafayette Hotels owns and operates 31 hotels in Maine, New Hampshire and Michigan – including the Nordic Village Resort in the North Conway, New Hampshire area. Maine properties include: the Senator Inn & Spa in Augusta, the Holiday Inn by the Bay in Portland, Lafayette’s Oceanfront Resort in Wells Beach, and the AAA Four-Diamond Bluenose Inn in Bar Harbor. Learn more about Lafayette Hotels at lafayettehotels.biz. Owners Danny and Carla Lafayette of Hampden, Maine are actively involved with fundraising for cancer research and treatment. They have played an important role in the creation of the Lafayette Family Cancer Center in Brewer, Maine. For more information about the Lafayette Family Foundation visit lafayettehotels.biz/giving-back. Established in 1982, Lafayette Hotels is a Maine-based company, which owns and operates 31 hotels in Maine and New Hampshire and one in Michigan. Lafayette Hotel properties also include the Black Bear Inn and Conference Center in Orono, the Best Western Merry Manor Inn and Fireside Inn in Portland, the Best Western White House Inn in Bangor, the Fireside Inn in Waterville, among others. For more information about the Lafayette Hotels family, visit lafayettehotels.biz.